Over the first 2 months of 2013, the Hungarian passenger car market is down a worrying 19% year-on-year to 7,547 registrations while Light Commercial Vehicles are down 22% to 1,437 units. Like in 2012, the Opel Astra leads the way with 416 sales and 5.5% followed by the Skoda Ocatvia at 403 units and 5.3% and the Ford Focus with 272 sales and 3.6%. 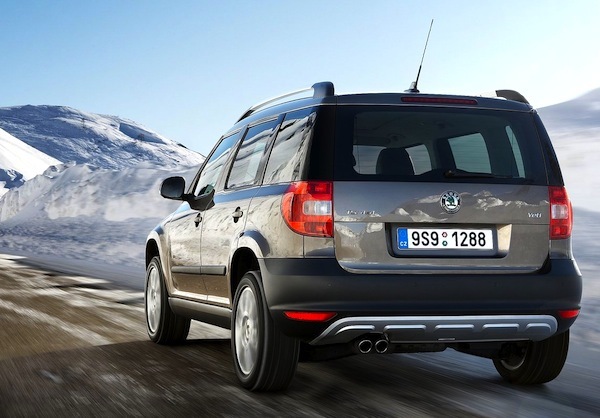 Excellent showing of the Dacia Duster up one spot compared to the FY 2012 ranking to #4 at 243 units and 3.2% while the Skoda Yeti does even better: it is up from outside the Top 30 directly to 5th place with 235 sales and 3.1%. Notice also the VW Golf up from #12 in 2012 to #6, the Suzuki SX4 up from #10 to #7 and the VW Passat up from #15 to #8. The Fiat Ducato leads the LCV ranking at 179 units and 12.5% ahead of the Ford Transit with 149 sales and 10.4% and the Peugeot Boxer at 111 units and 7.7%. Full 2 months 2013 Top 10 models and brands Ranking Tables below.